Dan Melchior has been nice enough to hand paint 30 LP covers for this release. Each one is unique, signed, and numbered. This edition will ship with a shrink wrapped standard edition and digital download as well. Ok that seems simple enough right? First release (to my knowledge) was a split with Billy Childish in 1998. So I think this is his 40THish ALBUM! When this record showed up unsolicited let’s just say it was a no brainer. 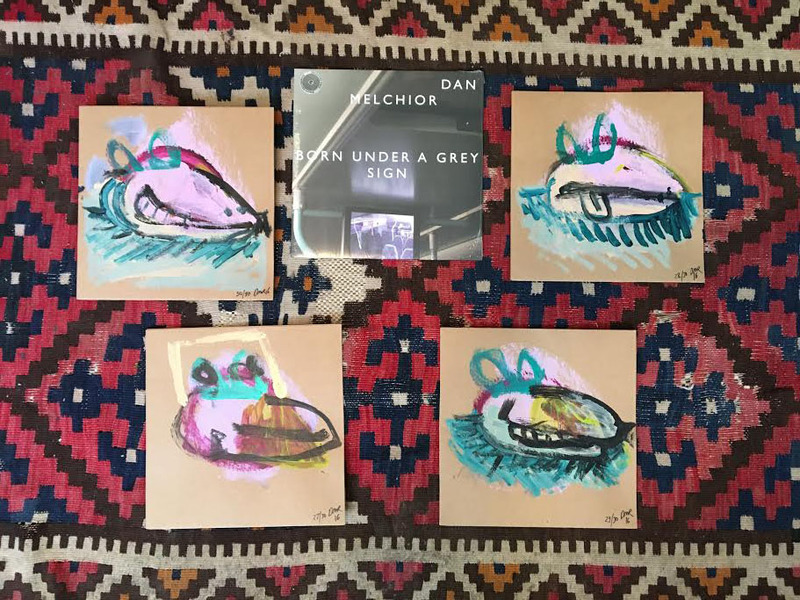 “Born Under a Grey Sign” shows Dan confident enough to do whatever he damn well pleases. He’ll go from singing a Sea Shanty directly into drum machine chaos, all the while keeping things rooted somehow in his brand of folk/rock/garage whatever. We love this record, and it’s an honor to release it.